For nearly three hundred years, from the end of the eighth century AD until approximately 1100, the Vikings set out from Scandinavia across the northern world a dramatic time that would change Europe forever. 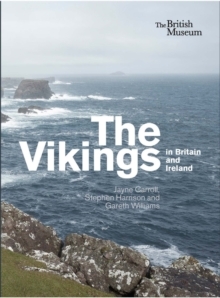 This book explores the Viking conquest and settlement across Britain and Ireland, covering the core period of Viking activity from the first Viking raids to the raids of Magnus Barelegs, king of Norway. This lively history looks at the impact of the Viking forces, the development of societies within their settlements, their trades and beliefs, language and their interactions with native peoples. Drawing on the superb collection of the British Museum, together with other finds, sites and monuments, The Vikings in Britain and Ireland is a richly-illustrated introduction to the culture, daily life and times of the Vikings and their legacy which is still visible today.